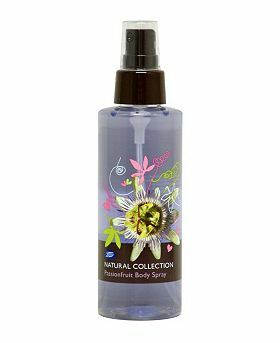 This scent is sweet and fruity which makes it a great choice for the summer, this product is a great value for money at just £2.00, this spray can also be used as a room spray and works really effective as both a body and room spray. The product lasts a good couple of months even if you are using it every day, you get 150ml in the bottle which is great value for money! I would recommend if you want a stronger smell to re-apply it a few times throughout the day but personally I don’t think you need to do as you can still smell the distinctive passion fruit smell hours after you have applied it. Even though the bottle is quite plain I think that the style suits the smell as by looking at the bottle you can see its Passion fruit l but the smell corresponds really well with the packaging. I would defiantly recommend this product to everyone as it smells so fruity and makes you feel fresh and energized. They are such a great value for money aswell!